The scrap metal industry is looking strong in the future, despite some of the issues with China with regard to fake coins being traded in as well as their policy changes on importing recycled or scrap metals. Other industrial countries, such as India, Mexico, Canada, Japan, Taiwan, Germany and more continue to purchase the valuable ferrous and nonferrous metals. World Steel Association estimates that, excluding China, the global growth rate for the steel industry would still be on a positive slope of .9%. The most exciting news is that as some of the developing economies see recoveries, such as Brazil, the industry will grow by 2.8% in 2018. Some estimates say that the U.S. ferrous industry will see $446 million in additional exports in 2019. As economies improve, building materials are needed and product consumption continues to rise, the need for metals of all sorts, including recycled scrap metals, increases. It’s a good time to invest in an easy-to-use, accurate platform scale. Arlyn Scales takes pride in making our scales in-house in our U.S. factory in Long Island and in our direct-to-customer model. Whether you are recycling aluminum, brass, bronze, cast iron, steel, stainless steel, copper, bronze, brass, titanium, nickel or tin, one of the most important aspects of a scale is loading and unloading. Our platform scales are only 1 7/8” high and have an optional small ramp to facilitate the loading. 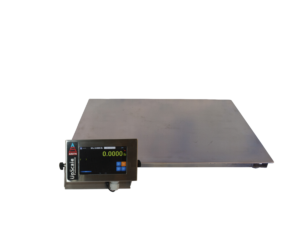 Our Series 3200, all-electronic Digital Platform Scales are built to last and have no moving parts to wear out. The four stainless steel load cells embedded in a welded frame withstand the shocks of a metal recycling plant. Note that we can customize the platform size in our factory directly. You can get quick answers to any of your questions through our chat function on our website. Just mention what kind of scale you are looking for or what your business/industry is that you work in. Our scales can also be programmed as counting scales that read the number of pieces on a weighing platform, which is very useful when counting coins, for instance.